Google once again comes up with its new feature Google Cloud Connect for Microsoft Office and giving advantage to MS Office customers to go beyond technology by using cloud service. According to the Google Official Blog the new plug-in for Microsoft Office can be downloaded by everyone who have a Google Account. It allow users to sync all data of Office work from Microsoft Word, Excel and PowerPoint applications and upload them to Google’s cloud. From there all users can collaborate on the same versions of the files at the same time. Cloud Connect for Office also has revision history and offline editing, letting you sync documents at a later date if you don’t have Internet access at the time of writing. Google has also announced a 90-day Appsperience program that will let businesses test out all of the Google Apps for a small fee. The three month long test drive will cost $7,000 for companies that have 50 to 500 people or $15,000 for companies with more than 500 people. Appsperience allows access to Google Apps, Google sites and to Google cloud connect along with new collaboration analytics that can be accessed directly through the Google Apps control panel. As the Google Appsperience website states, at just $50 per user per year, the costs for using Google Apps for businesses is pretty low already, and the figures for the test drive don’t really show off the savings companies can make. The difference is that the Appsperience users can make use of additional support options that many businesses may well need when first starting out cloud based setups. 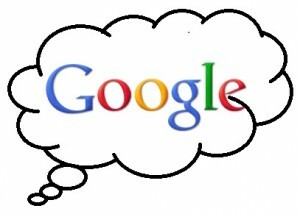 Google Cloud Connect can be installed on most versions of Office 2003, 2007 and 2010, but not with Office 2010 starter edition or any version that Microsoft’s Click-to-Run service has been used with.